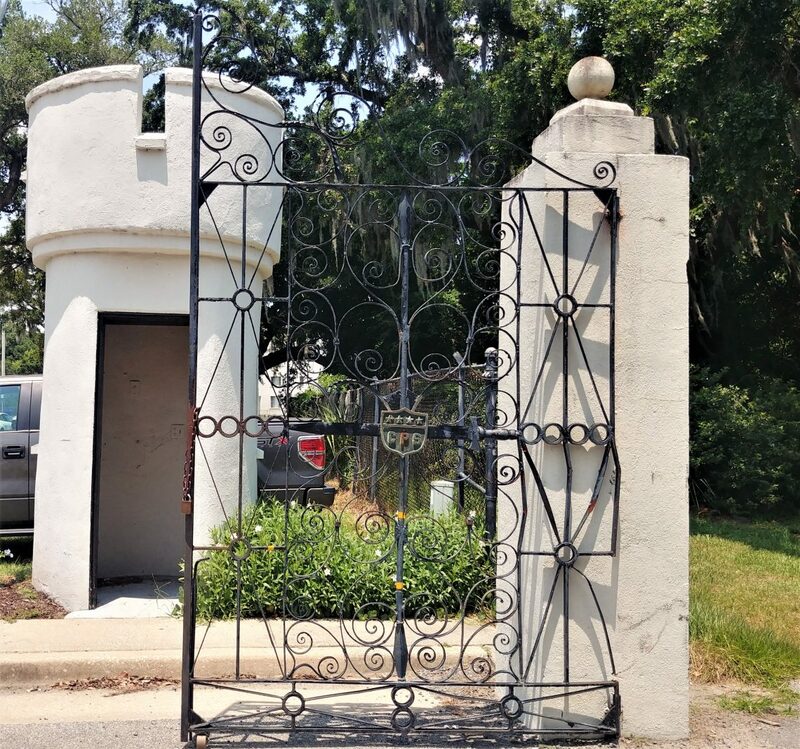 This gate, inspired by the famous Sword Gate by Christopher Werner, was actually made for General Charles Pelot Summerall’s plantation in Aiken, SC. You can see his 4 stars and initials in the shield in the center of the gate. It now hangs at the Citadel, the Military College of South Carolina and is, aptly, called the Summerall Gate. 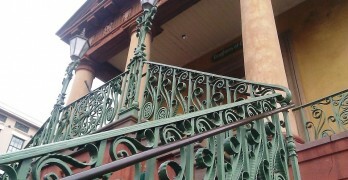 It now guards the entrance from the Citadel to Hampton Park.